Docu-shred is a family owned and operated company, established in 1996. We provide safe, secure solutions for all of your information destruction needs and do so with personal attention and at a competitive price. Here at Docu-shred our staff understand that the most vital component of our service is the secure destruction of all forms of information. As such we have established systems to ensure that all materials are destroyed in a safe and secure manner. All of our staff are Police Cleared, our vehicles are sealed and lockable and we ensure that your materials are handled with the utmost of security, unwaveringly to the destruction point. 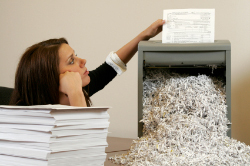 Docu-shred will then destroy your materials in compliance with the Privacy Act and depending on the types of materials for destruction, these may be destroyed by shredding, crushing or incineration. 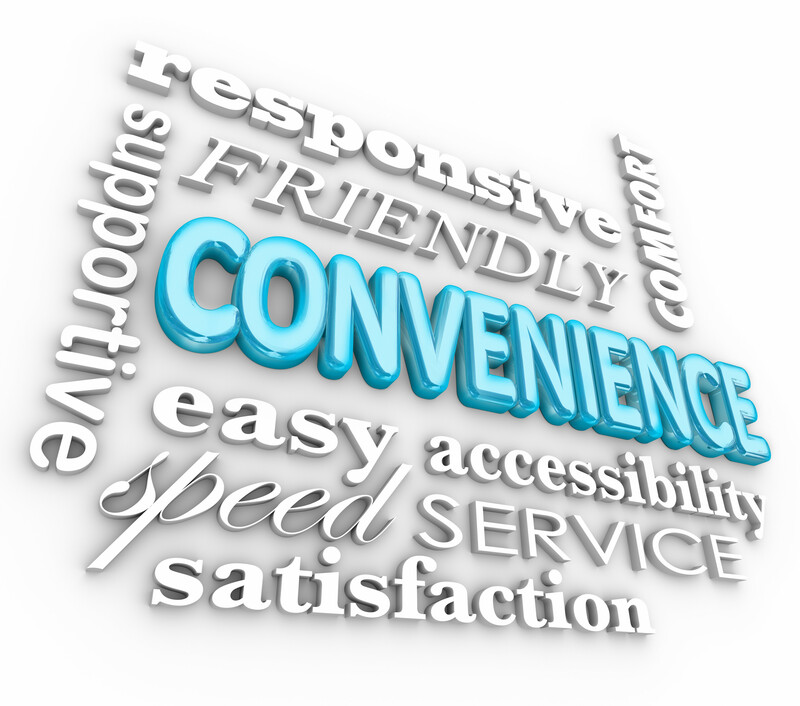 As.. with any service provided, we know that you are looking for a prompt, friendly and hassle free experience and that’s what we provide for all of our customers. Our phone lines are not automated, but all phone calls are answered by real, friendly people. Our staff who attend your office to collect the documents are all long-term employees who bring a warm smile and a friendly disposition. We know that lasting relationships in business are built on these attributes and that’s why many of our customers have been with us since our beginnings in 1996 and that's why every year the same businesses call us back to help them with their yearly culling of redundant archives. 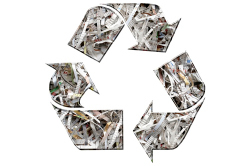 All paper and paper related products such as cardboard are recycled once the information has been destroyed. Being a locally owned and operated company not only allows us to give you personal attention to your needs, but it also means that we can provide you with the most competitive quote due to our lower overheads. We will not only match but beat any competitors quote on a comparable service.